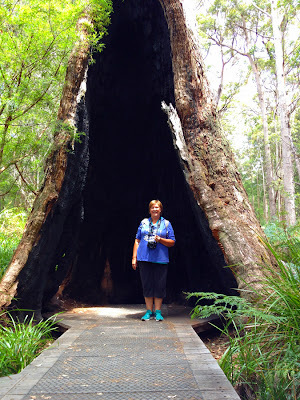 Today we visited the Valley of the Giants with it's amazing tree top walk in Nornalup. 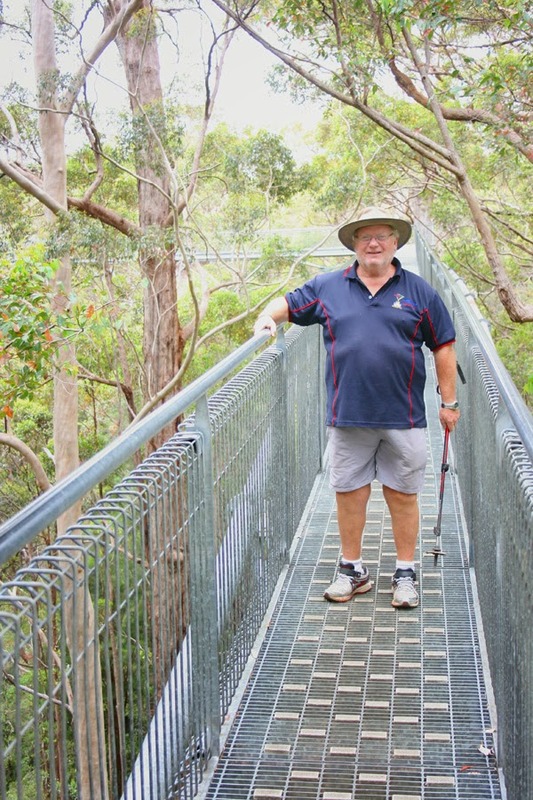 The Tree Top Walk is a 600 metre walk that rises gradually to a height of 40 metres into the tree canopy. We were both unsure how we would go walking up into the canopy as you could see straight through the wire walk way. It has also been built to sway slightly in heavy winds. I really didn't think Shane would do it as he doesn't like heights at all. But he surprised me, in fact I think he went better than me. Although he did swear a lot while walking along it. 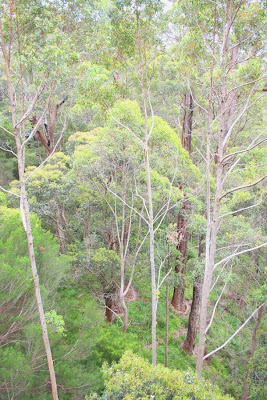 Then as we gradually descended and reached the forest floor, another delight in the Ancient Empire awaited us. The Ancient Empires walk is a relaxing walk through the feet of the ancient 400 year old giants of the forest, the Tingle trees, you can even walk through one. 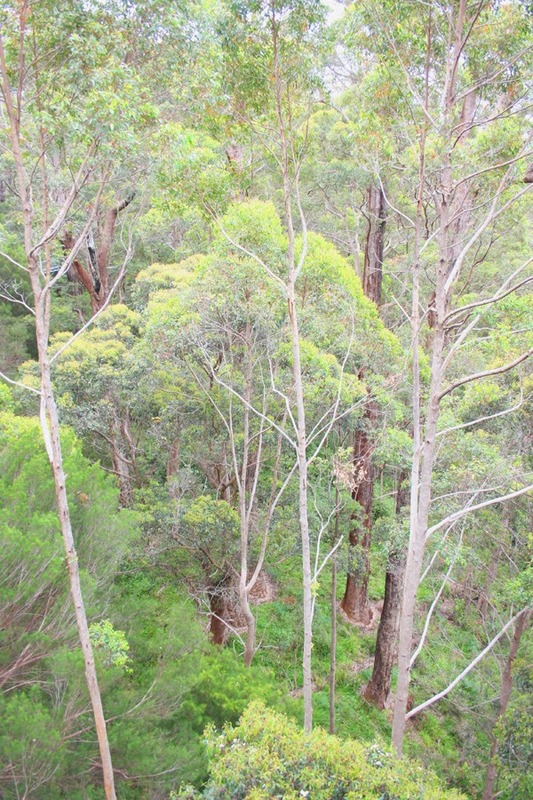 Up in the tree tops !! Smiling but still holding on!! almost human character - a female, grandmotherly character. It's almost as if she is watching over the forest, observing all those who enter it. 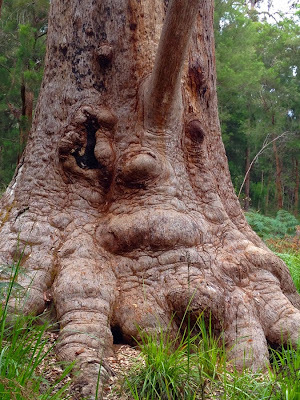 This matriarch of the forest measures more than 12 metres circumference and is estimated to be more than 400 years old.